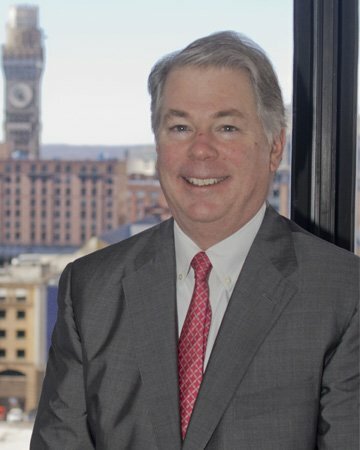 Timothy A. Dachille founded the firm in August of 1993 as a solo practitioner. Since that time, he has been dedicated to delivering highly professional legal representation to clients throughout Maryland and the District of Columbia. Handling a wide array of personal injury, workers’ compensation, traffic/DUI and misdemeanor criminal matters throughout his decades of legal practice, and he continues to provide effective legal representation to his valued clients. Creating an open environment where clients feel welcome and understood, he generally serves as the first point of contact for the clients. As the founder and operator of a growing firm, he appreciates the importance of keeping the lines of communication open with his clients. He takes the time to guide clients through an often-complex legal system and ensures they are kept fully apprised of what is happening at every phase of representation. Additional Questions? We’d love to hear from you! Timothy A. Dachille and Associates is placing this website on the Internet for access by persons interested in learning about our firm. These pages are considered attorney advertising in many states and are intended to provide information of general interest to the public, not legal advice about specific situations or problems. Please note that any prior results we may have achieved do not guarantee a similar outcome in the future. The firm does not intend to create an attorney-client relationship by offering this information, and anyone's review of the information shall not be deemed to create such a relationship. You should not rely on any information in this website without seeking the advice of an attorney. You should not disclose to us through this website any confidential information until you speak with an attorney and get authorization to send that information to us. Please contact us for more information concerning our website.